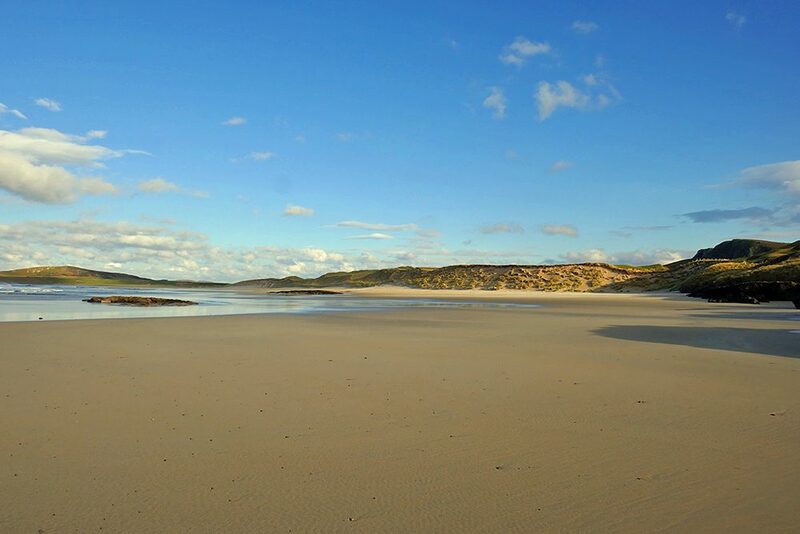 A view north east from the southern end of Kilchoman in Machir Bay on the west coast of Islay. The dunes towering over the beach. 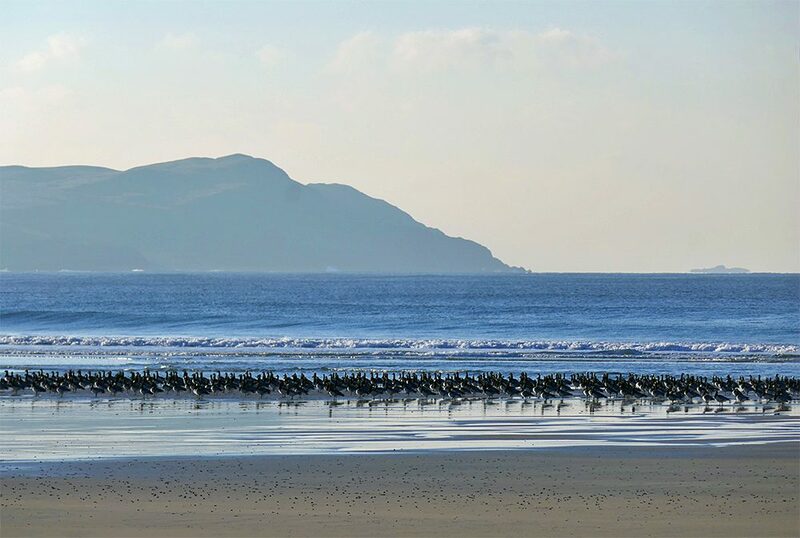 Another view of the Barnacle Geese roosting on Kilchoman beach at the northern end of Machir Bay. The view is south west, looking towards Kilchiaran along the west coast of Islay. Frenchman’s Rocks also visible in the distance on the right.